TET (Halloween Kisses x Ima Bigtimer) Sev. EM Re. 6" flowers, 29" scapes, 3 way branching with 26 buds. BURNING FOR YOU has a glowing red orange self with a deep mahogany eye and the blackest of edges. 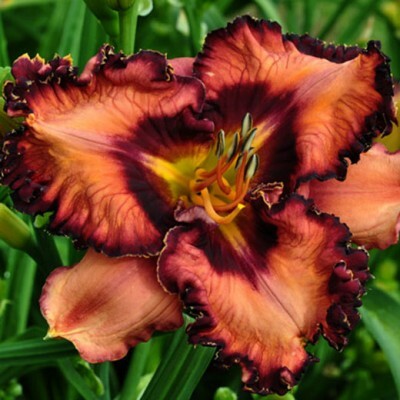 A great performer and grower! Fertile both ways.